KUALA LUMPUR- Korea’s hottest heartthrob, Park Bogum had recently kicked off his first 2016-2017 Asia Tour Fan Meeting in Kuala Lumpur last Saturday. 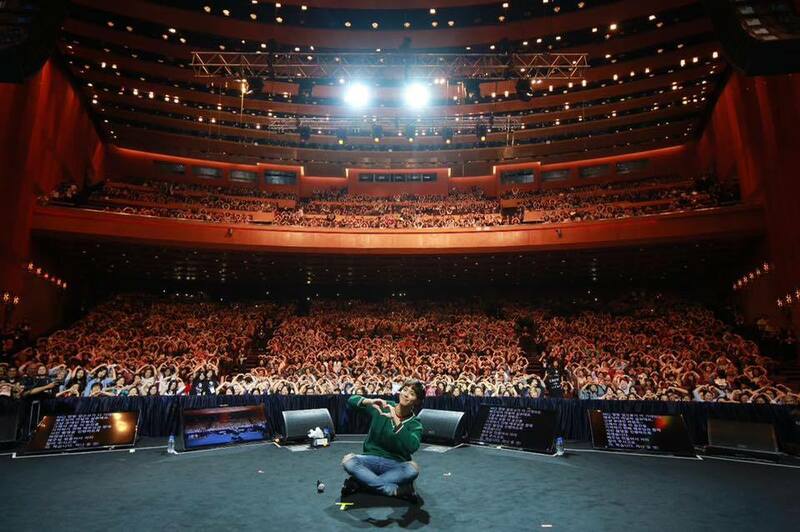 The 3-hour event was held at Plenary Hall, KLCC and approximately 3, 000 fans attended the event. 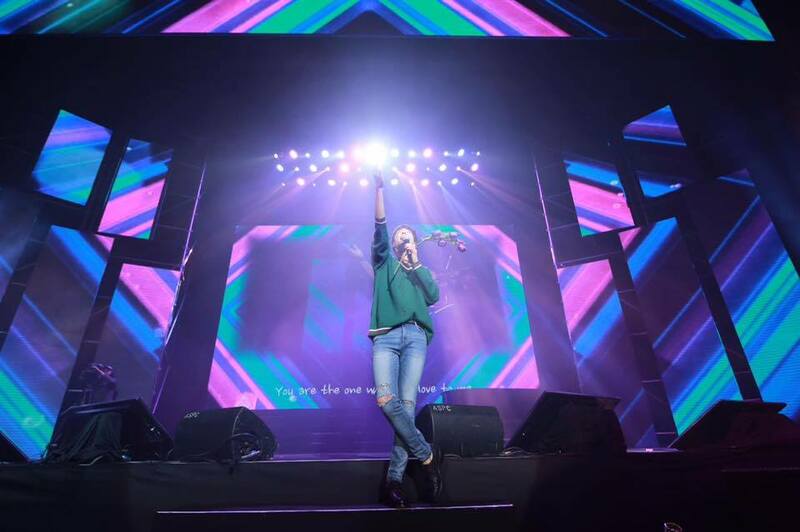 Malaysia is the first stop of his Asia Tour before he continues his tour at other countries such as Hong Kong, Taipei, Jakarta, Bangkok, Tokyo, Singapore and Seoul. The fan meeting began with first Q&A session, entitled “Happy Bogum” where questions about him were asked. Q: From the dramas you have played, which personality is the closest to your personal life? A: Choi Taek from Reply 1988. Q:What was the last thing you usually do before bedtime? A: Thinking about my fans! Awwww, Bogum surely knows how to win the hearts of his fans! Q: If you’re given one day holiday, what would you like to do? A: I want to go to Malaysia. In this session, dramas that he has acted in were discussed. During this session, the top 3 best scenes from “Reply 1988” and “Love in the Moonlight” which were personally picked by fans were shown. Besides that, Park Bogum has also selected personally his favourite scene from both dramas. Park Bogum was requested to re-enact one of the scenes from Love in the Moonlight with the famous line in Malay version and he went “Saya tak mengizinkan” in such a shy but cute way. During the third session, Park Bogum attempted to make jumokbap (rice ball) on stage and these will be given out to two lucky fans at the event. Other than that, he also had the chance to try Malaysian local dishes such as satay, cendol and nasi lemak. Bogum showed his love for Malaysia food when he actually ate all 10 satay sticks provided in one go and received a very loud cheer from the crowd. He also ate half of the nasi lemak provided to him. According to Bogum, he could not have his lunch due to the rehearsal. 4th session: Happy Game Park Bogum was asked to select numbers in order to make a complete “Bingo” and from each number he chose, he had to act or play the game as requested. One of the main highlight during the game session was fans had the opportunity to witness Park Bogum dancing to his famous “Bombastic Dance” which was also featured in his drama, Love in the Moonlight. The dance made the crowd went wild. Besides that, one of the numbers he had chosen was requesting him to sing “December 24th” and Park Bogum sang it perfectly while playing the piano. 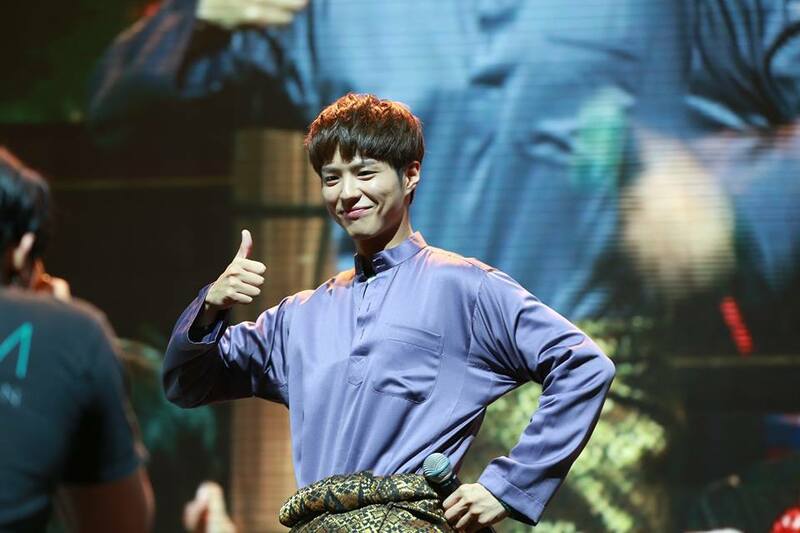 Fans also had the chance to see him wearing the traditional Malay costume, Baju Melayu and left fans in awe. 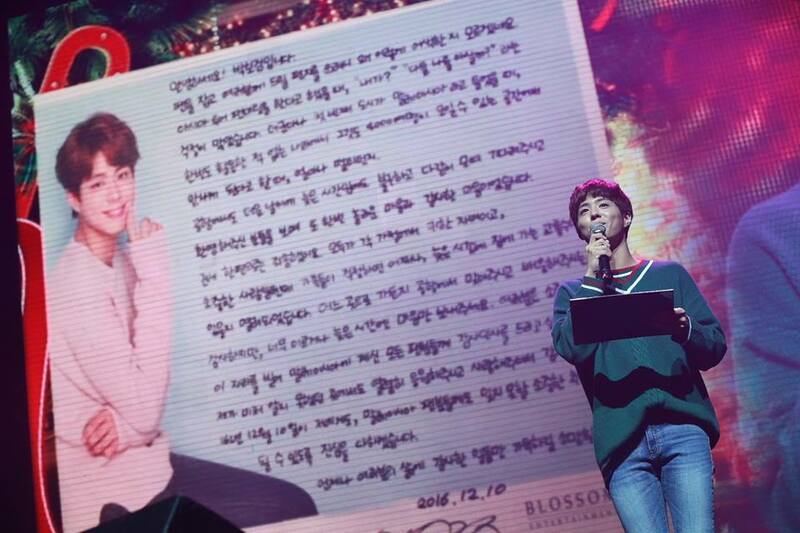 As for the encore stage, Park Bogum came back on the stage by singing of one his songs from the OST of the Love in the Moonlight, entitled “My Person” and read a letter to all of his fans as a token of appreciation for showering him with so much love. 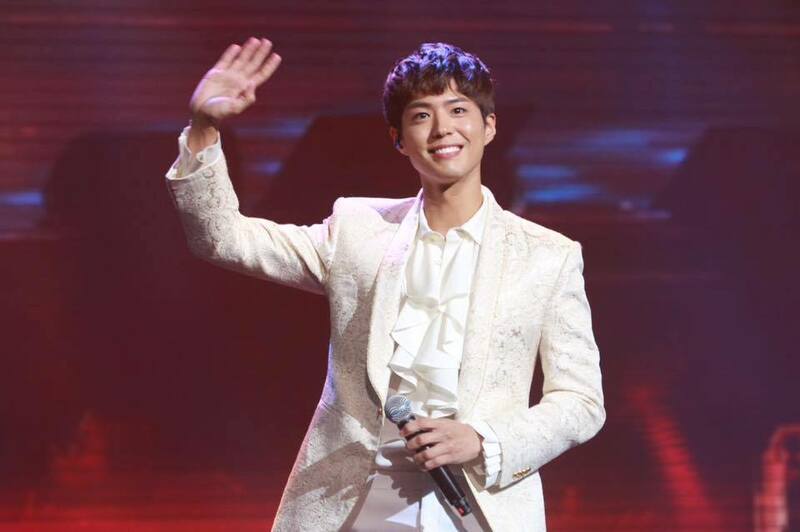 At the end of the fan meeting, fans had the chance to wave goodbye to Park Bogum at the “Goodbye Session” before leaving the venue. Editor’s comment: Throughout the whole fan meeting, we believe that fans are able to feel Bogum’s sincerity in everything his does. There was a section whereby Bogum had to walk passed the crowd section and during this section, it can be clearly seen that he actually took his time and tried his best to greet each and every single fan he saw. As for the game session, he just needed three “O” for a bingo game but he said he did not mind playing another two more games. Bogum also took a lot of effort to pick some local words to be used during the press conference and also the fan meeting. We wish you all the best in all your upcoming projects and wish your life will be filled with health, love, joy and happiness! Not to be forgetten, shoutout to Park Bogum’s 2016-2017 Asia Tour Fan Meeting in Kuala Lumpur’s EMCEE, Mr. Owen Yap for being such a dedicated and professional emcee. 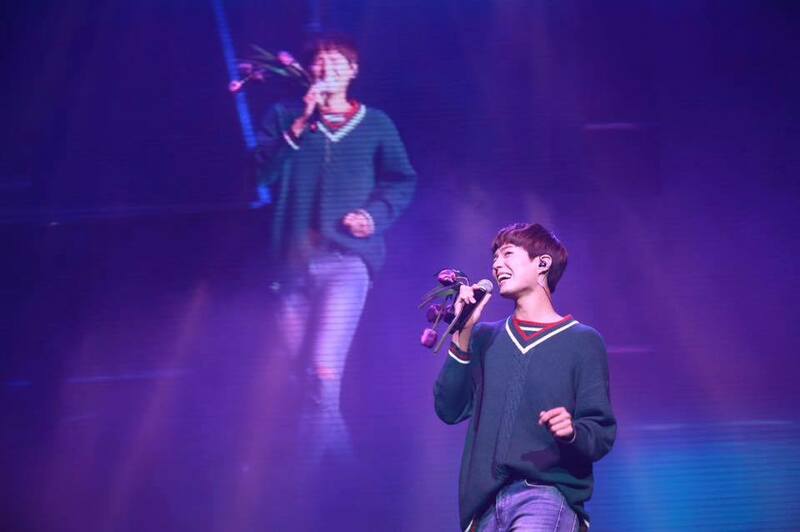 We believe the crowd as well as Bogum himself enjoyed the fan meeting a lot and it is definitely a great start for Bogum’s Asia Tour. Park Bogum 2016-2017 Asia Tour Fan Meeting is organised by Blossom Entertainment, HS E&C and CN Group, and jointly presented by IME Malaysia and Social Up. Congrats to IME Malaysia for another successful event! Ps, during his last day in Malaysia, Bogum also took his off day to stroll around Pavilion area! Glad to know that he enjoyed his time in Malaysia.